Composer, band leader and instrumentalist Mark Wade is full of ideas. He began studying the electric bass from 14, followed by the acoustic bass at New York University. His inspiration comes from Ray Brown, Paul Chambers, Mike Richmond and Scott LaFaro. In Mark Wade Trio Mark is joined by two swinging and inventive musicians: Tim Harrison from Nottingham, UK (piano) and Scott Neumann from Oklahoma (drums). Their debut album Event Horizon has much excellent improvisation. Recorded at Systems Two in Brooklyn, New York, it was mixed and mastered by Frank Fagnano and released on 17th February, 2015 on Mark Wade Music. The expressive opening waltz ‘Jump For Joy’ is followed by a curious and charming ‘Apogee’ and ‘Tossed’, with its sensitive Afro-Cuban tones. A relaxed ‘Valley And Stream’ contrasts with the fiery ‘Twist In The Wind’. Tight and rhythmical ‘If I Only Had A Brain’ is the only cover on the album, from the Harold Arlen song sung in the 30s film The Wizard of Oz. Clearly, these three musicians have had a strong commitment to writing original material for the album. Mark has a great enthusiasm for science . In cosmology an “event horizon” is a point of no return where the gravitational pull of a black hole becomes so great that escape is impossible. Mark seeks something similar to this in his music: an adventurous journey which has unexpected twists and a curious edge at which something exciting happens. His trio have succeeded in created a compelling debut album that’s rich, harmonic and a little bit eccentric. 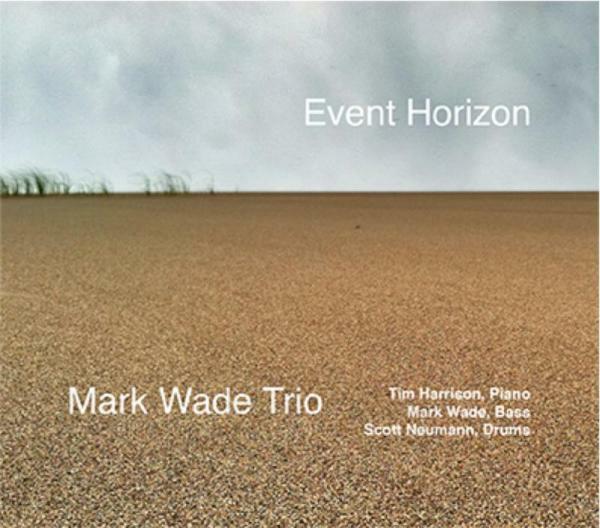 The Mark Wade Trio have succeeded in created a compelling debut album that's rich, harmonic and a little bit eccentric.